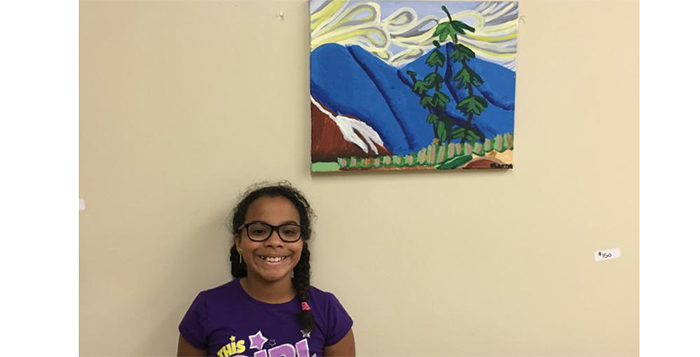 The next artist showcase for Maricopa Center for Entrepreneurship’s Art & Entrepreneurship series features 10-year-old Karma Crossland. The event is from 6 to 8 p.m. at MCE, 20800 N. John Wayne Parkway, Suite 108. Karma is in fourth grade at Pima Butte Elementary School. She has been painting for four years. She loves cats and her first painting was of a cat. She loves to paint all kinds of things. She loves to hike and enjoys being outdoors. She is a Junior Ranger and encourages people to take care of the environment. Her hobbies are painting, hiking, and hanging out with family and friends. She loves the Arizona Cardinals.